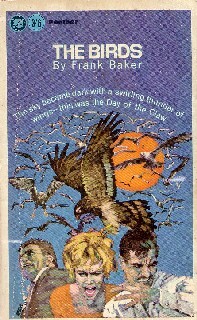 Was 'The Birds' By Frank Baker An Inspiration For Hitchcock's Movie? 'The Birds' (1936) by Frank Baker more closely resembles Hitchcock's movie than the offical 1952 source by Daphne Du Maurier, says Hitchcock scholar. We are pleased to recommend a newly published edition of Frank Baker's 1936 novel 'The Birds', available for purchase online. A new 2013 edition of a novel first published in 1936 called The Birds raises important questions about the inspiration for the famous movie by the same title, which cites the 1952 short story by Daphne Du Maurier. 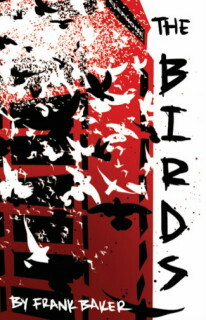 Baker’s The Birds is a cautionary fantasy depicting the end of modern day civilisation brought about by a world-wide bird attack. The birds appear as large sinister starlings and are in fact supernatural creatures which turn against 'marred' humanity, representing a dark side which Baker believed each individual should face. While most of the birds’ victims are driven mad with terror and killed, a few, including the book’s fictional narrator, survive to rebuild human society. Contemporary commentators praised the originality of this fantasy and compared it to HG Wells’ War of The Worlds; The New York Times described Baker’s fantasies as ‘an unfailing delight’. Today, readers will especially enjoy the vivid depictions of 1930’s London , and the intriguing parallels with the Hitchcock movie. In 1963, when the Hitchcock movie came out, Frank was working as a BBC script editor and the film’s release was a complete surprise. By this time, he had published 13 novels and considered suing Hitchcock, but was eventually advised against it by his lawyers for reasons of cost and the difficulty of proving the case. He did however issue a new edition of his original novel in the following year. When Frank raised the topic of Daphne Du Maurier's short story with his publisher Peter Davies, he received a reply admitting conflicting loyalities - his publisher was first cousin to Du Maurier. Frank then entered into an amiable correspondence with Du Maurier, who said she had not previously read his book. In one flattering letter she writes, 'I am very sorry you have been put to trouble and expense over this matter of 'The Birds', and do believe my sincerity when I say that I wish for your sake Hitchcock had bought your novel rather than my short story from which to adapt the film.'. After reviewing his novel in a final lengthly letter to Frank she remarked, 'It is far deeper stuff than mine, you developed the idea so much further than I did'. Like Du Maurier, Frank resided mainly in Cornwall where he was most inspired. In his lifetime he wrote 18 novels and 10 short stories and still has a small but avid following. Despite his success with novels such as Miss Hargreaves (1940) he never received acclaim for his second novel 'The Birds'. Some artists only receive the recognition they deserve long after they are gone, and Frank Baker is perhaps amongst them.